The Class B unit easyRX2S receives AIS ClassA and ClassB according to ClassB standard. By means of USB port connection to PC or Laptop is possible. With contained software it can be choosen between 38400 or 4800 Baud data rate. Function activity is shown by 8 LED’s. The easyRX2S is able to interpret incomming AIS data for CPA alert or AIS S.A.R.T. ermergency messages. Additional the easyRX2S devices can be used as power surce for external alerting devices. All received AIS data can be stored with internal SD Card recorder. 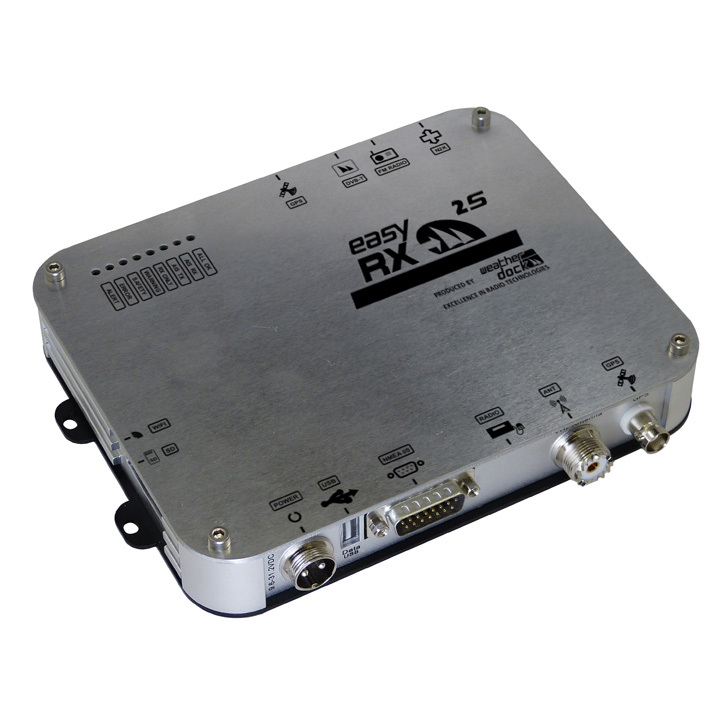 With the build-in multiplexer input 3 devices with different baud rate can be pluged to the easyRX2S units. At least the external cable harness gives the possibility for outsourcing functionaly like “change into silent mode ” or “PAN PAN emergency call” by switch. Your PC has to work at least on WIN XP SP2 and screen resolution 1024*768 for configuration. Plotter or PC software have to be intermateable to AIS to display incoming AIS data on screen. What is needed to run the easyRX2S? The ClassB device needs a separate GPS antenna and an own VHF antenna. As an alternative you can run the easyRX2S with the VHF antenna switch easySPLIT-OCB for using your existing VHF antenna. A separate GPS antenne is still needed. An other alternative is the VHF/GPS combi antenna.